There is a lot of air time being given to the fact that we need to develop critical thinking skills in children, if they are to be adequately-prepared for the changing environment of study and work. But what does this really mean? What are critical thinking skills? And can they be taught? Bloom’s Taxonomy is a way of categorising learning according to the complexity and specificity of the objectives. It recognises that some tasks involve a higher cognitive load and deeper processing than others. 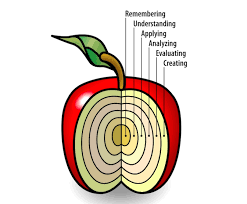 Those at the lighter end, Lower Order Thinking skills (LOTs) are core, such as remembering or understanding. The first is mere replication, whilst the second is recognising the meaning of a particular thing. Of course, such learning is essential if we are to build knowledge and learn from others, but alone they are insufficient if we want to exercise and develop critical thinking skills. This makes sense because there is no problem-solving or critical thinking involved in memorising a formula or circling the correct multiple choice question. Critical Thinking skills are like a muscle in the brain which must be trained and exercised through Higher Order Thinking skills such as analysing, evaluating, and ultimately creating. We can see critical thinking in action when we work out a complex code sequence or pattern, or when we get to the root cause of a challenging problem, and especially when we then correct that problem and see our solutions work. In other words, kids need to do science, technology, engineering, and math, not only learn about it. Changing the dynamic also changes learners from passive receivers of knowledge and information, to active participants in their own learning and development. Just pop your head into a STEM Saturday camp and you can see the difference in the expressions of the children – they are very focused, but they are having fun! They are curious and they ask questions, and suddenly ideas are bouncing from one child to the next as they challenge their understanding by applying the knowledge before analysing the results and evaluating what happened and what they could do better next time. Developing such metacognition skills not only supports critical thinking, but helps kids learn how they learn. This develops greater learner autonomy for successful learning in the future. What we do at STEM for Kids is kindle, protect and nurture that flame so that learning is effortless. So that thinking critically about a topic is natural. And so that coming up with inventive solutions to problems is not only acceptable, but preferred. These levels of Bloom’s Taxonomy are also seen in the unadulterated spark and passion in all innovators and entrepreneurs. If you want your child to be the next Steve Jobs, Sheryl Sandberg or NASA Astronaut, give them the best opportunity to achieve those dreams with STEM for Kids’ programs.